The 2019 Adina Polocrosse World Cup gets underway this weekend and the ‘No Vacancy’ signs are out in force in Warwick and surrounding towns. The World Cup will be the largest international sporting event ever held in rural Australia, with organisers estimating the event will attract more than 60,000 people, including 2000 international visitors. Players and spectators from New Zealand, South Africa, USA, UK, Ireland, Zambia and Zimbabwe will join the Australians at Morgan Park to battle it out for the glory of being named the world’s best. CEO of Southern Queensland Country Tourism, Mary-Clare Power, says the event is expected to inject more than $5 million into the local economy. “We are really excited to host the Adina Polocrosse World Cup in Southern Queensland Country and look forward to the challenge of catering for the largest international event ever held in rural Australia,” Mary-Clare said. “Events are a fantastic way to attract visitors and we will be actively looking to promote dispersal throughout the region, particularly among interstate and international visitors. “We are also working with the event organisers and Southern Downs Regional Council to promote pre-and-post event travel, highlighting our key experience pillars of regional flavours, natural beauty and history and heritage. “Hosting the World Cup is a wonderful opportunity to showcase Southern Queensland and we are looking forward to seeing the benefit that the event has on the region’s economy,” she said. 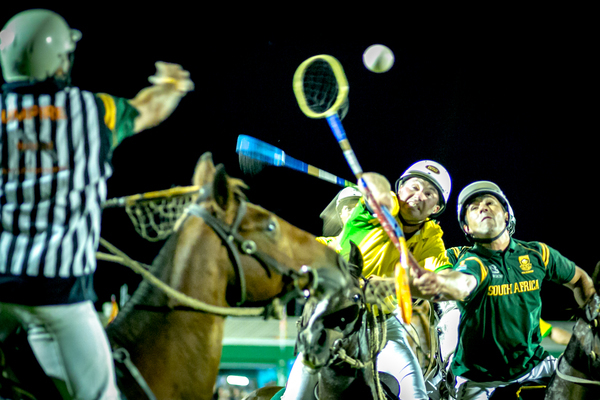 The Polocrosse World Cup will be held at Warwick’s Morgan Park from Monday 22 to Sunday 28 April 2019. • Barastoc Intertate Series – Tuesday 23 – Sunday 28 April World Cup spectators can also see the best players from Queensland, NSW and Victoria compete in the Barastoc Interstate Series, which has been incorporated into the World Cup program.